Travel feeds the soul. Adventure excites the senses. For thrilling sights in an array of shades, Antigua, Guatemala is the place to just be. Summertime is the moment to get inspired by adventurous color, and there is here is no better place to defy convention and go bold, than the sun-soaked shores of viva Antigua! Viva Antiqua is described by Essie as sparkling turquoise with iridescent micro crystals. It is part of the Summer 2016 collection (well that is an understatement – it is not a part it is the star of this collection). It is probably the most unique color I have seen from Essie in a while. Aboslutely perfect for summer, the turquoise is striking so bright and eye catching while the shimmer makes it even more special. But beware it dries down almost semi matte without any shine even with a top coat it wasn’t as glossy/shiny as I would like it. Also I had a lot of issues with application being dificult, patchy, uneven… Sadly. Maybe I was just unlucky and got a dud? Even with that it is so worth it giving some extra work for this beauty. 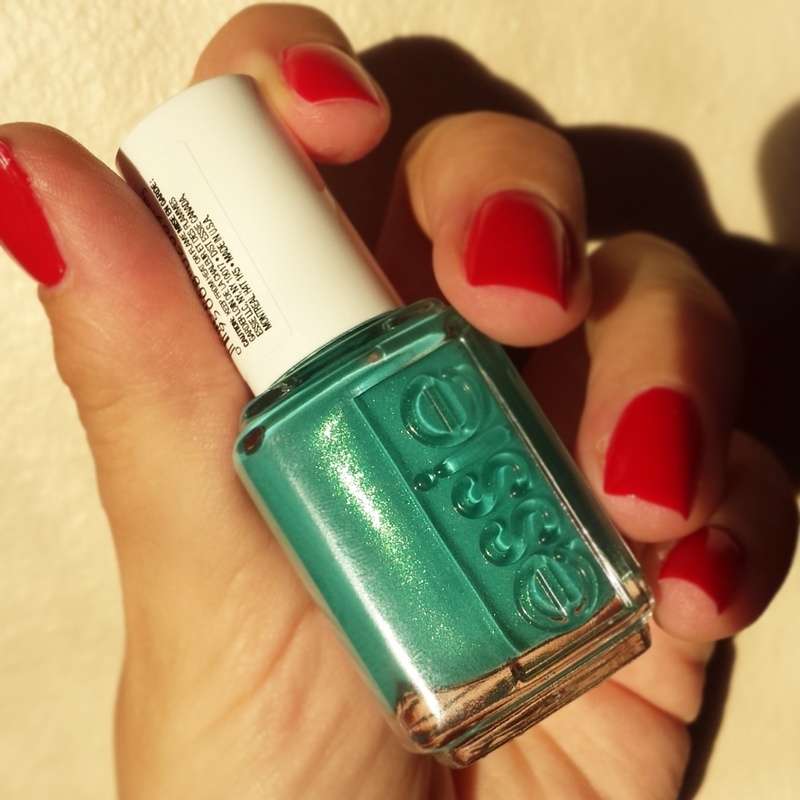 Have you picked up anything from Essie summer 2016 collection?